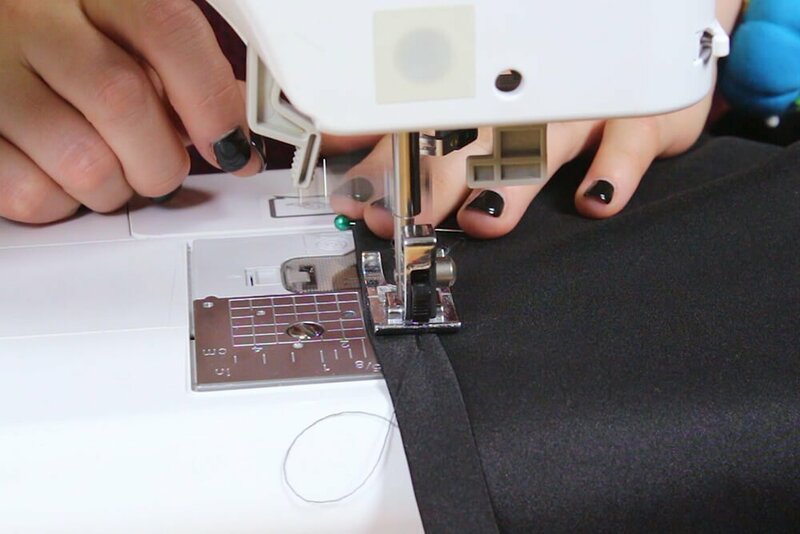 Hemming a gown with multiple layers can be tricky and time consuming. 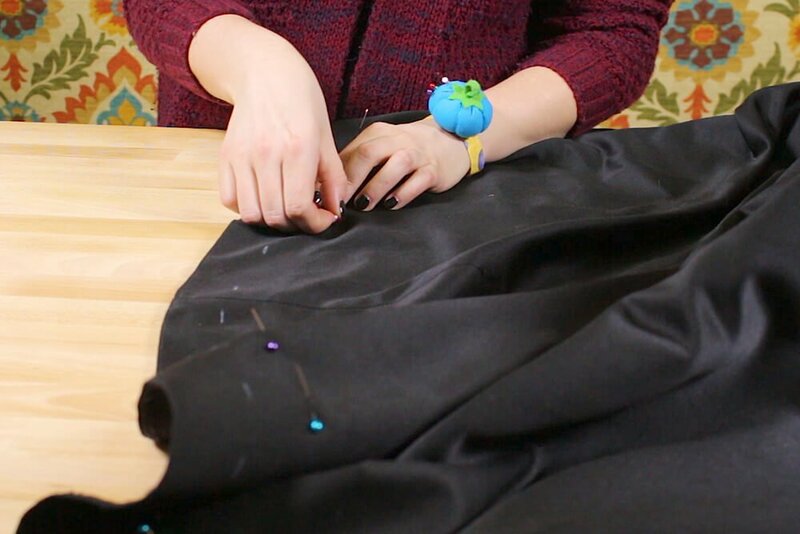 In this tutorial, Jen shows you how to hem a gown with tulle and a lining underneath without any hassle. 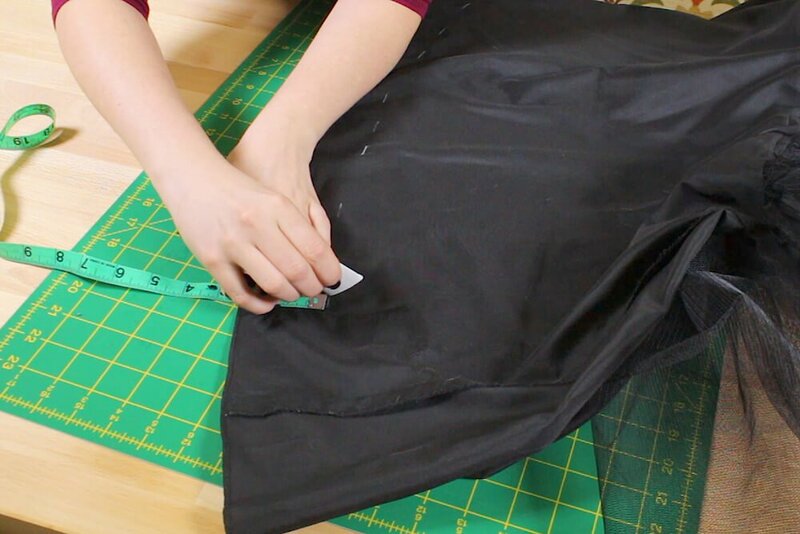 Fold and pin the top layer around the dress to where you want it to land. 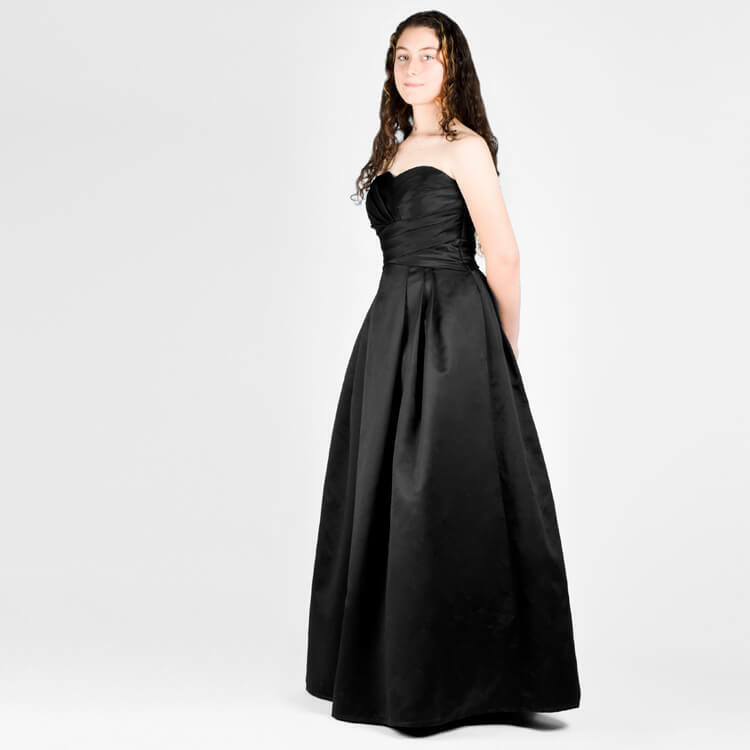 Make sure they’re wearing the shoes that they plan on wearing with the dress so that you get the right length. Push the inner layers up to the top and lay the outer layer flat. 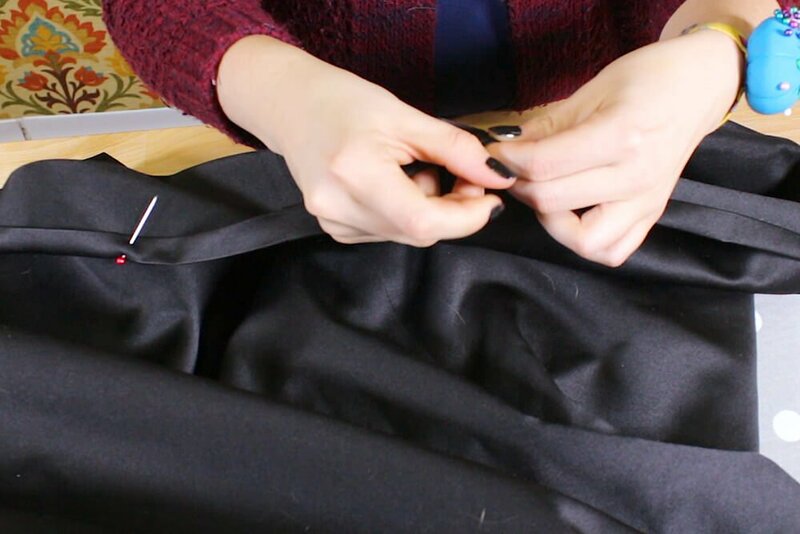 Unfold the hem and re-pin so that the hem lies flat. 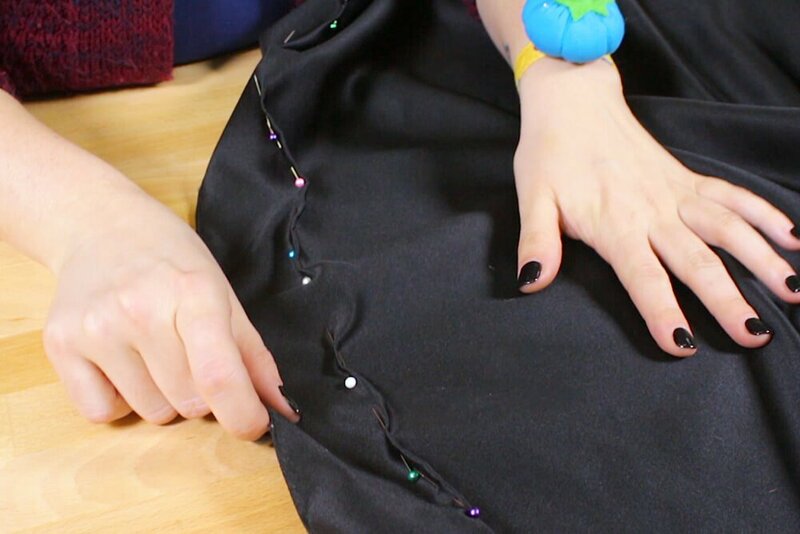 Measure from the pins to the bottom of the hem. My measurement is 2 and 1/4 inches. 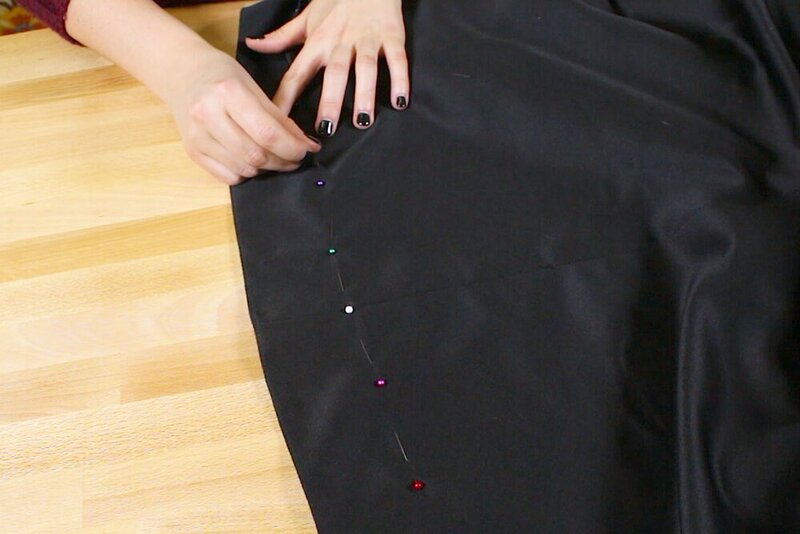 Make sure the measurement from hem to pins is consistent around the bottom of the gown. 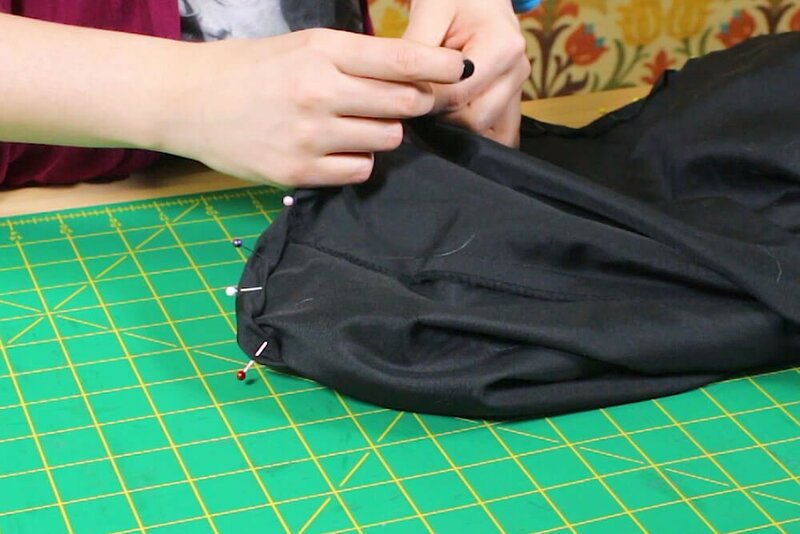 You can use a fabric marker if you’re not working with a dark colored fabric. 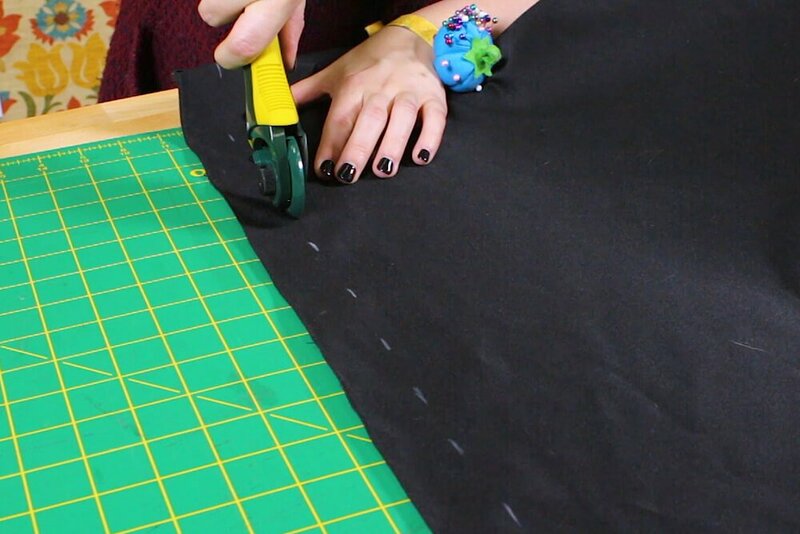 Measure down 1 inch from the pins and mark with fabric chalk. 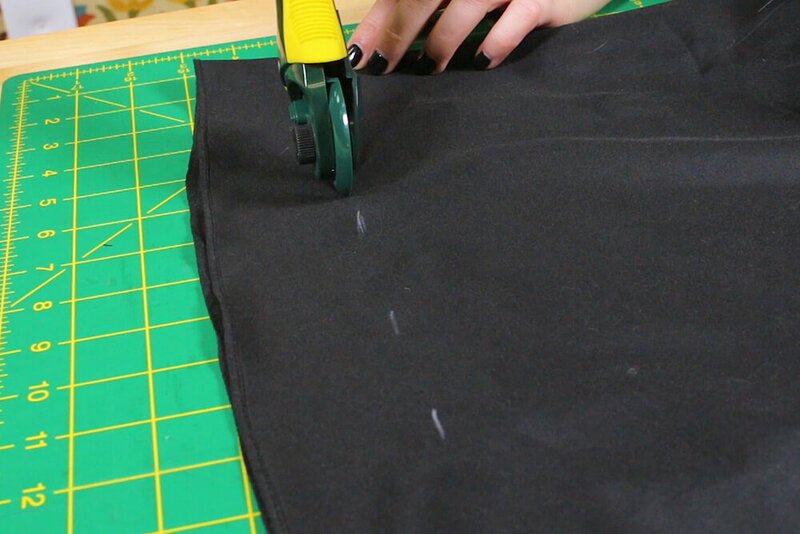 Mark all around the hem and remove the pins. 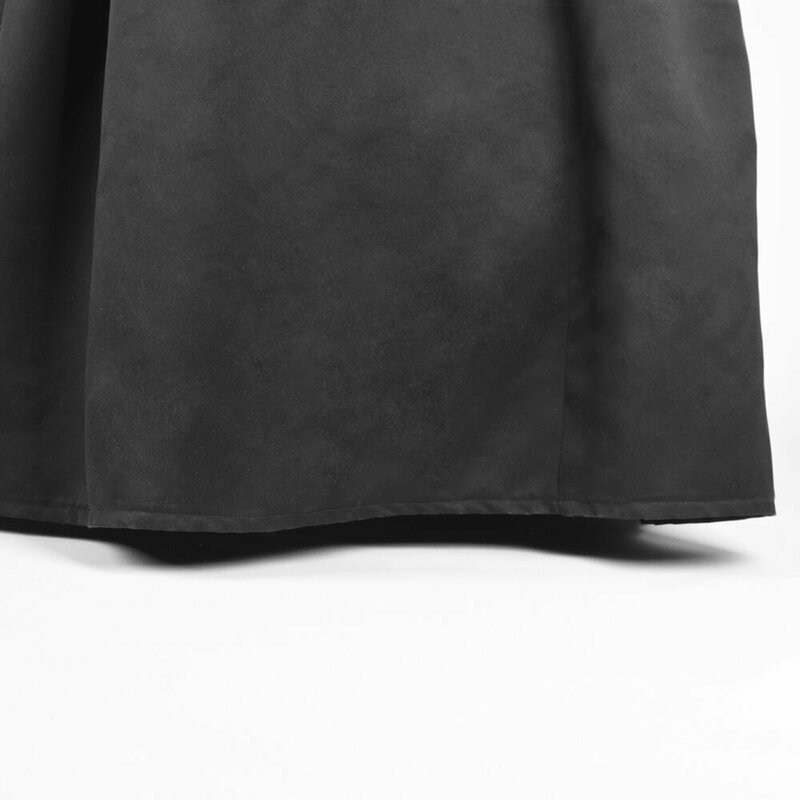 Cut around the hem at the marks. 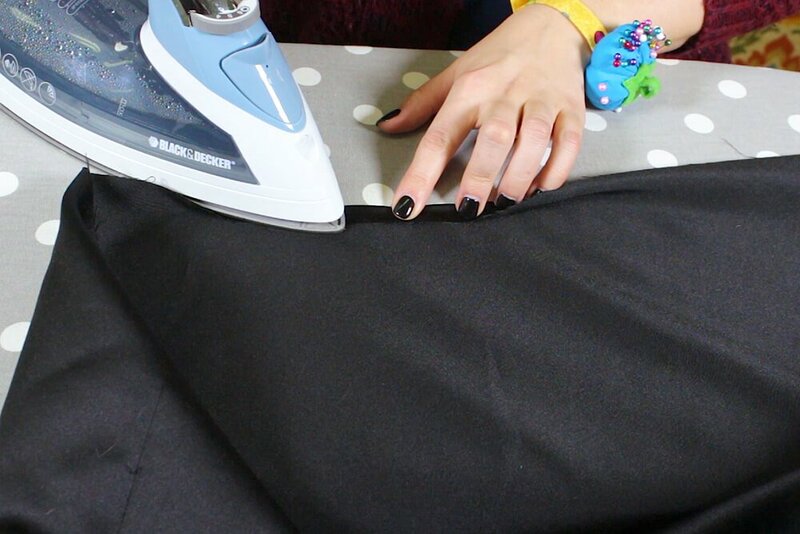 Fold up the hem a 1/2 inch and iron. 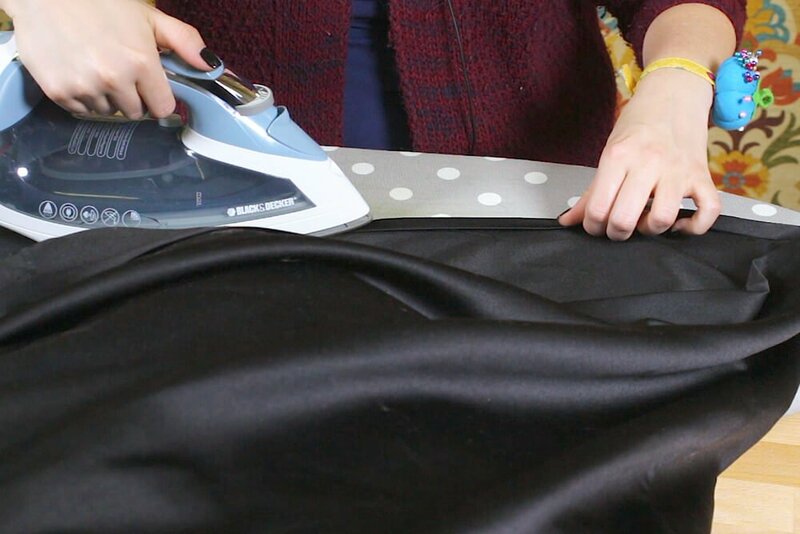 Then fold up another 1/2 inch and iron again. Put in some pins to help keep the fabric in place. Stitch about a 1/4 inch from the inner fold line. 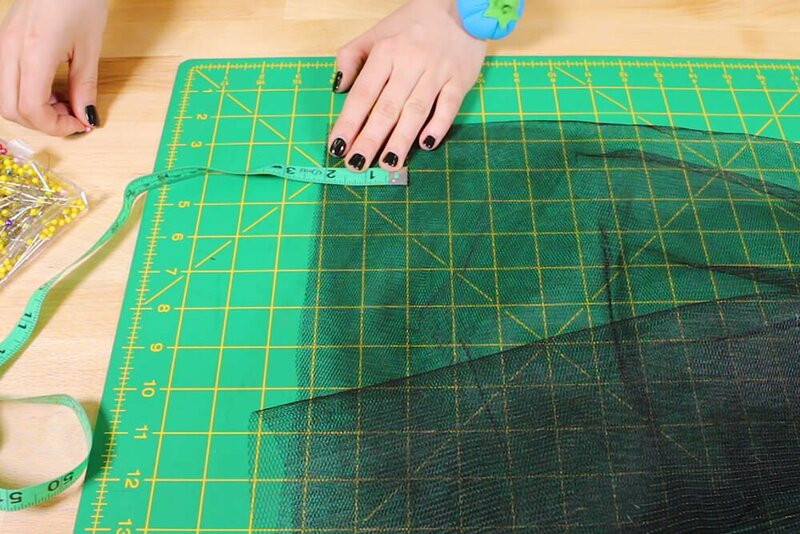 You want the inside layers to end up about 2 inches shorter than the top layer. 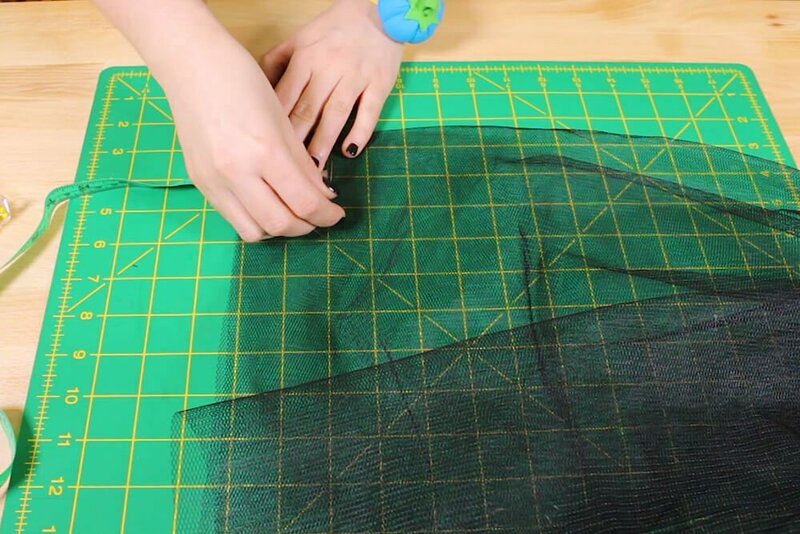 Push the tulle and top layer up. Pull the lining out and lay it down flat and even. Measure up 2 inches and mark around the lining. Cut along the marks. 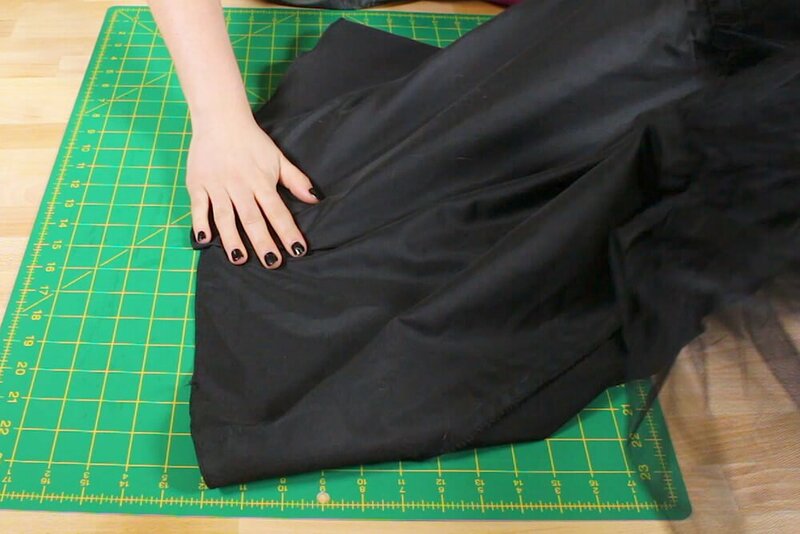 Fold the lining up a 1/2 inch twice and pin around the gown. Stitch about an 1/8th of an inch from the inner fold line. 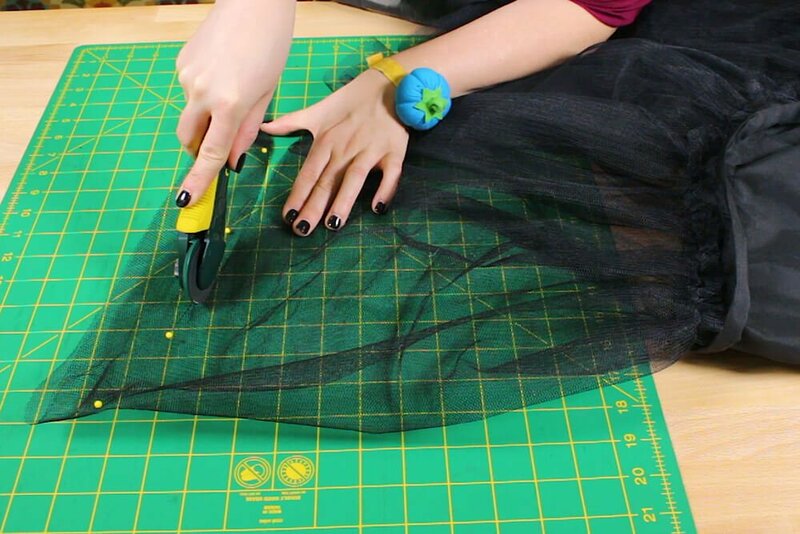 When pinning the tulle, make sure to pin through both layers. 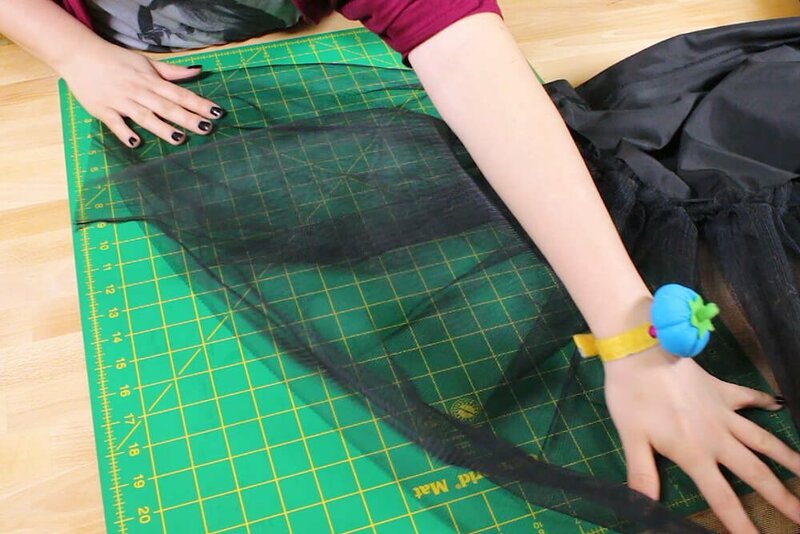 Now push the lining up and bring down the tulle. 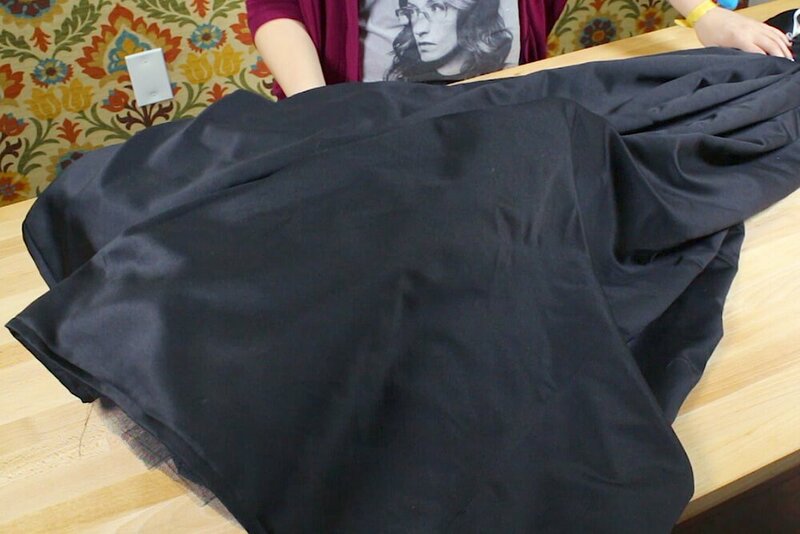 Lie the tulle layer down flat and even. 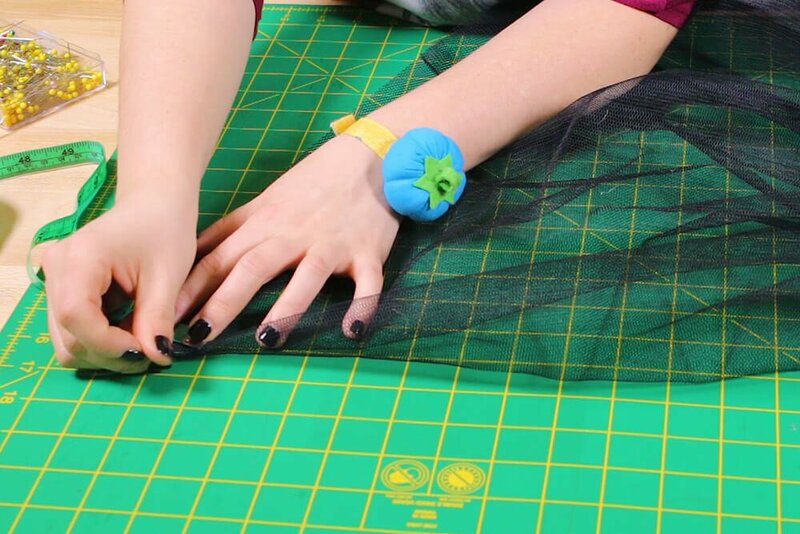 Measure up 2 inches from the bottom and mark with a pin across the layer. Cut across, using the pins as a guide. Pull down the inside and top layers, and it’s done! 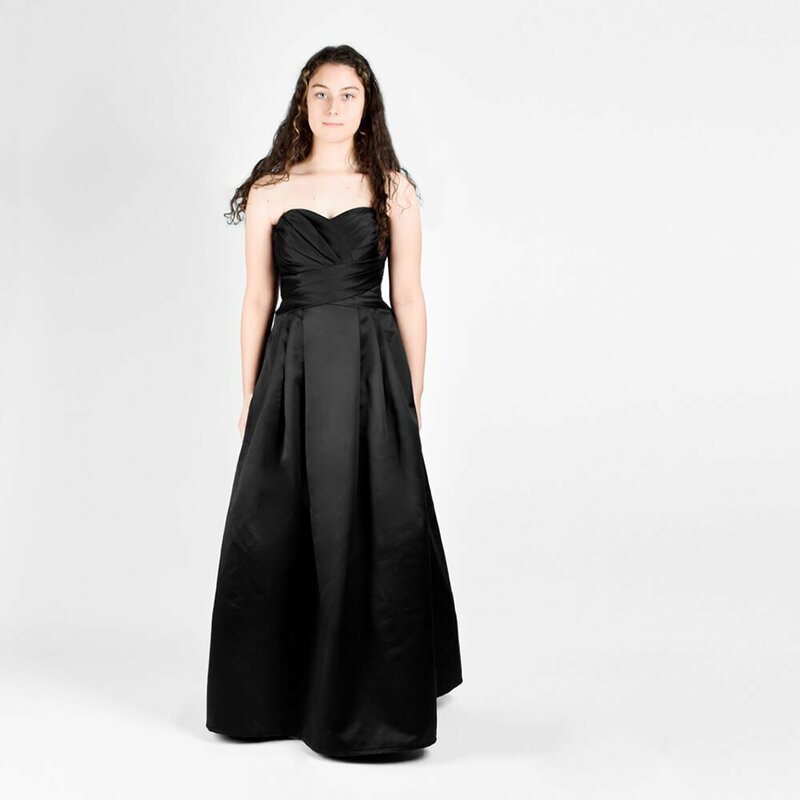 I have a prom dress that has two layers which i can fix but ,she will remove her shoes to dance, how can i keep it from dragging on the floor then? 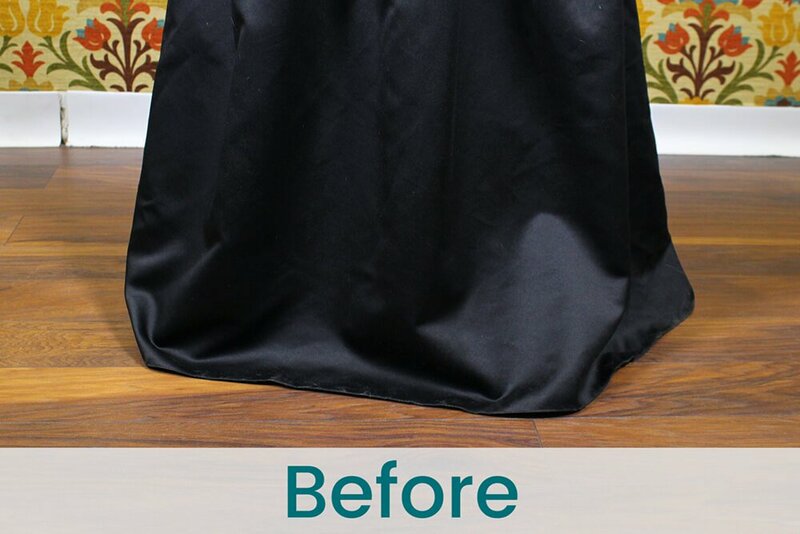 BEST ANSWER: Hem the dress with shoes off so that hem falls just above the floor. 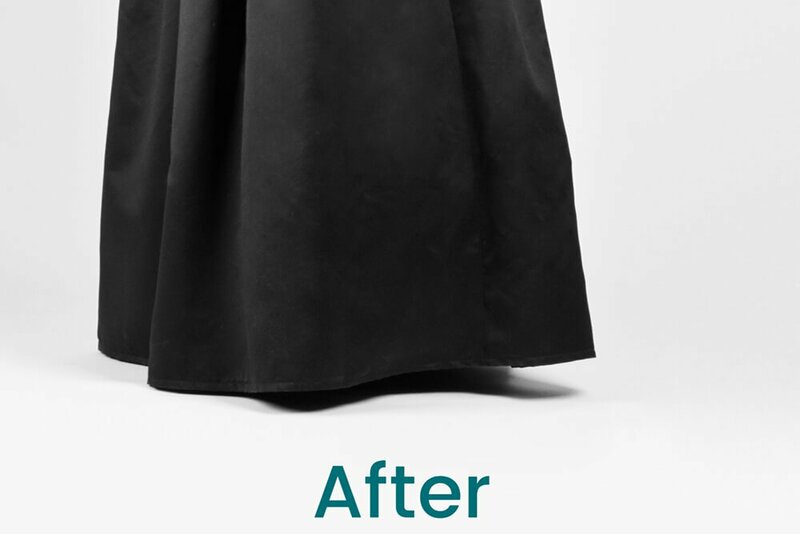 I have a long dress with a tulle layer on top and lining inside, do you still make the lining 2 inches shorter then the outside? 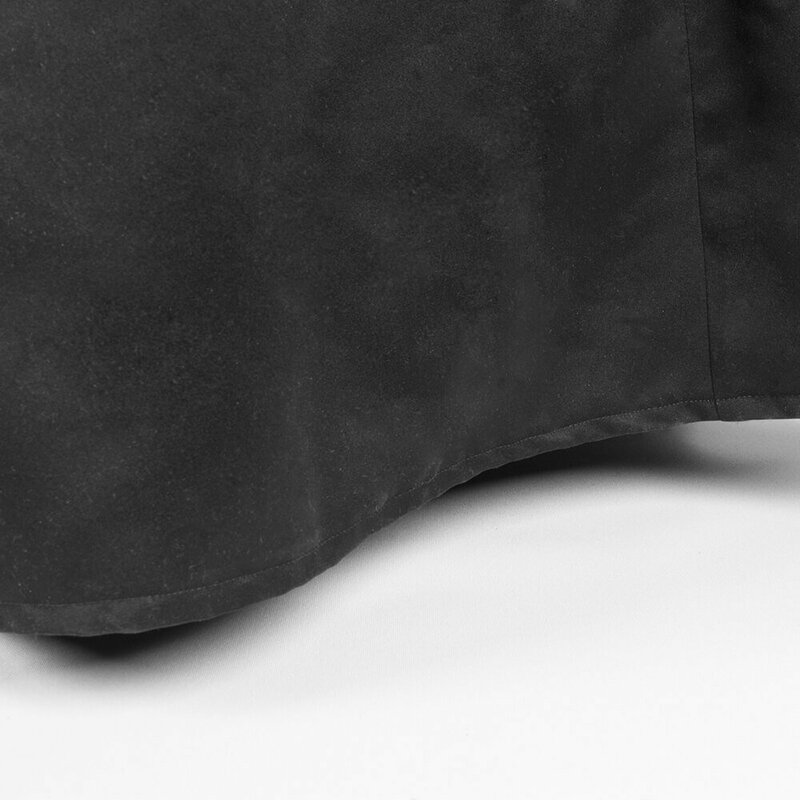 BEST ANSWER: This is really a personal choice, but with the tulle on the outside, the lining could be just slightly shorter than the tulle.